Entirely too much ink has already been devoted to the probably-more-acrimonious-than-they're-letting-on war between the Backstreet Boys and 'NSync -- whose No Strings Attached offered the first serious challenge to the Backstreet Boys' pop crown -- but comparisons are nevertheless impossible to resist. It's likely that the mostly vapid No Strings Attached has sold more copies than the Boys' newest, Black & Blue, ever will, which is a shame: As works of art go, it isn't exactly Blood on the Tracks, and it isn't as blissfully fine as Millennium, but Black & Blue is unquestionably the most seamless boy band release of the year. First, the bad news: As is their wont, the Boys often seem faux-menacing in a Bad-era Michael Jackson kind of way, namely on uptempo tracks such as "Get Another Boyfriend," which is reminiscent of "Backstreet's Back" in that it's the sort of uptempo, bad-boy song that everybody loves, and that isn't actually any good. They can also seem, well, a little drippy on the ballads, like the gaggingly sweet "I Promise You (With Everything I Am)," which makes a Celine Dion-like grab for Wedding Song dominance. 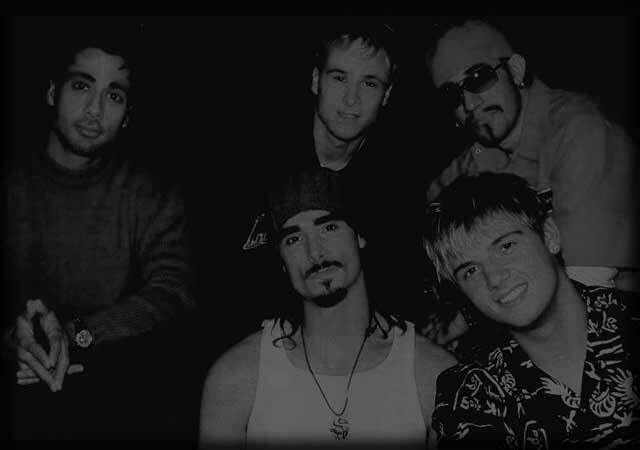 The Backstreet Boys will probably never again do anything as magnificent as "I Want It That Way," one of the all-time greatest pop songs, but -- and here's the good news -- Black is nevertheless frontloaded with standout tracks, of which "Time" and lead single "Shape of My Heart" are only two examples. While not branching out too much, the band delves further into funk-inflected R&B, flirts with strings and Beach Boy-esque harmonies and, ultimately, finds itself the better for it. k25RGc What's Happening i am new to this, I stumbled upon this I have found It positively helpful and it has helped me out loads. I hope to contribute & aid other users like its helped me. Great job. 9Eixm1 Hi, i feel that i noticed you visited my site so i got here to Ã¯Â¿Â½Ã¯Â¿Â½Ã¯Â¿Â½return the desireÃ¯Â¿Â½Ã¯Â¿Â½Ã¯Â¿Â½.I am attempting to in finding things to enhance my website!I suppose its good enough to use some of your ideas!! MEEdjs Great, thanks for sharing this article.Really looking forward to read more. Want more. VgKLDB Im thankful for the article.Really looking forward to read more. Really Cool.